As many of you know, Rob’s mother passed away in March. The circumstances and financial situation did not allow for a traditional funeral service. We had a small gathering of family and his mother’s body was cremated. It was decided by the family that they wanted her cremains to be brought here to our property- along with her brother’s ashes (Uncle Jimmy passed away 5 years ago). About 10 days after her passing, a small white box containing her cremains was delivered by hand from our mailman...and today, we have two small white boxes sitting on top our refrigerator. Although the family had discussed us planting the ashes with new trees, we haven’t yet set the proper space or have had the readiness to do that. Also as you may know, in a turn of events with our sawyer friend- we have been assisting in the development of his casket company. That exposure has us learning a lot about the death care industry. The funeral business is changing and they are taking note of the rising increase in the people doing cremation by choice or out of financial necessity. In some areas of the country, cremation rates are 70+% and people are opting for life celebration ceremonies over traditional funerals and their associated costs. As a result, Rob has had many conversations with people interested in urns. In doing some research about urns, we discovered that there are many choices for funerary vessels, but not many that reach “outside of the box” per se…. spanning the financial spectrum, there are many beautiful clay, glass, metal or wooden urns and boxes out there- but that’s just it, the choice is a basically a vase or a box. 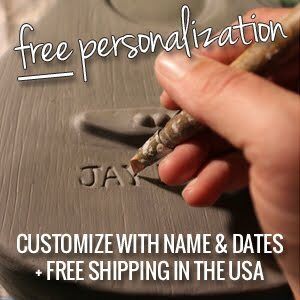 It is difficult to find a very personalized urn…a figurative vessel that visually represents a person’s essence…something uniquely precious for their loved ones. This point brings to mind prior sculpture work we created as a special memorial. In 2006, our buddy Ron passed away. At the time, we spoke with his wife Kathy about doing a sculptural urn for her. 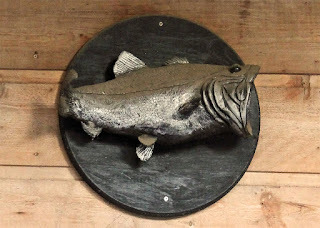 Ron had a big personality and he loved to fish… it was decided that she wanted a bigmouth bass fish for his cremains. Eight years later, that urn still sits mounted like a trophy on the wall of their home. Placed under a covered porch, it overlooks the beautiful country property they love so much. We know Ron would think it is a hoot that his remains ended up in that clay fish…he was just that kind of guy. 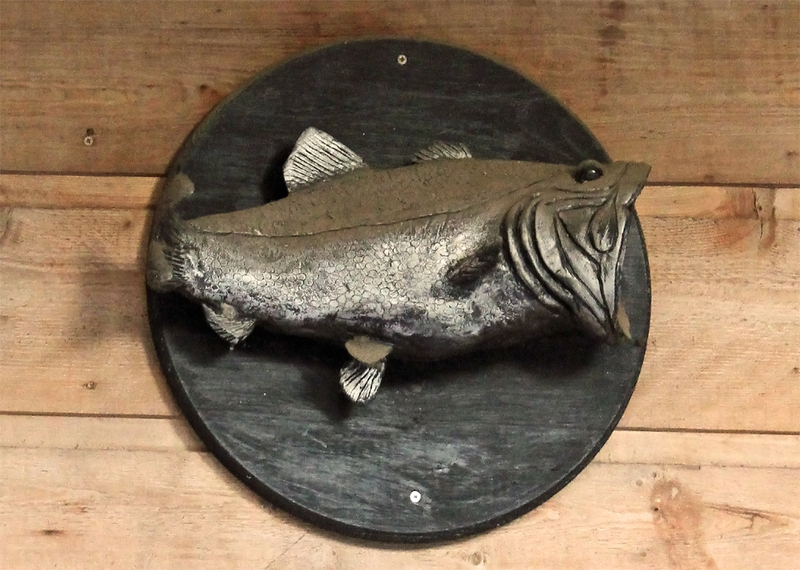 Kathy recently shared with us how the fish urn still gives her comfort, being able to look up and know he is there with her. So, where is all of this going- now that we have gone full circle? You guessed it…we want to do sculptural urns. Applied art with special function and sentiment, something that loved ones can always keep- to display in remembrance….a unique memorial that can have infinite possibilities to reflect the personality, hobbies or interests of the individual. We now have better ideas for memorializing the cremains of Rob's mother and uncle, and will we'll be making special urn sculptures to represent them. Our intention is set with this idea… we get teary-eyed at the thought of such a beautiful purpose- we can't imagine a greater honor for our art, than to be of service to families in this way. Do you have one of those small white boxes that you have been waiting to do something with? Do you have a friend that might be comforted by this service we can provide? 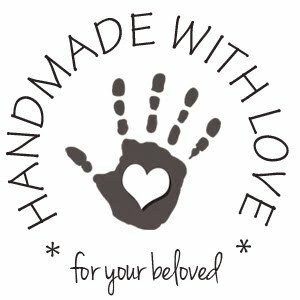 Please contact us if you would like to share your thoughts or to create a special memorial for a loved one.